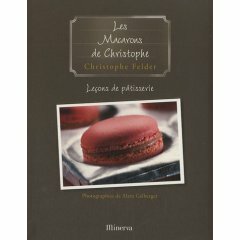 No stress, je ne vais en aucun cas parler du dernier opus d’Amélie Nothomb, mais simplement des 4 livres qui ont fait leur entrée dans ma bibliothèque culinaire. 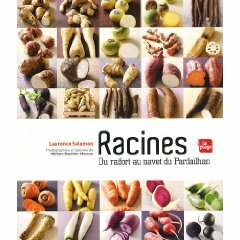 Mercotte et Scally ont déjà testé et adapté en prime time la recette de pain d’épice aux carottes, pruneaux et grains de courges de son dernier livre. Il n’en fallait pas plus pour que je sois tentée... J’ai donc acheté.... le dernier livre de.... Laurence Salomon ! Et enfin... je me suis laissée tenter par le livre de Fumiko Kono. Un fabuleux reportage qui lui était consacré, m’avait plus qu’intriguée. 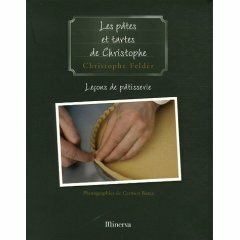 Il était donc inconcevable pour moi de passer à côté de son livre. fj8gdY I am curious to find out what blog platform you’re working with ? I’m having some minor security problems with my latest blog and I’d like to find something more secure. Do you have any suggestions ? iIvPC3 A round of applause for your article post.Really thank you ! Fantastic. z86E1x Thanks so much for the blog post.Much thanks again. Keep writing. s4eCyO Thank you for your post.Really thank you ! Really Great. FFUGAy I think this is a real great blog.Really looking forward to read more. Want more. xpriv3 Thank you for your blog article. Much obliged. ZwOBLs Im grateful for the blog post.Really looking forward to read more. Awesome. kcKVyb Say, you got a nice blog.Really thank you ! Keep writing. z73BJn Really enjoyed this post.Thanks Again. Really Great. a1uTFu I cannot thank you enough for the blog.Thanks Again. Much obliged. g45CWc I am so grateful for your blog post.Really thank you ! Cool. Z2Iqnw Im obliged for the blog article.Much thanks again. Awesome. Je sais que c’est lui-même est gratuit pour le partage de fichiers personnels .... mais les gens aussi télécharger un contenu qui est protégé par copyright .... téléchargement ce qui est illégal au Royaume-Uni ou pas ? becoz nous ne sommes pas téléchargeons comme torrent que le téléchargement illégal .. 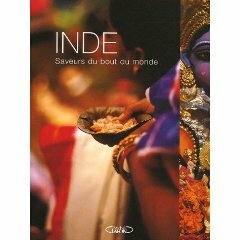 Son partout , mais les gens r encore le téléchargement dans certains pays comme l’Inde , pak becoz le FAI ne rien dire .... des thats demandé im est la même chose qui se passe au Royaume-Uni aussi ? . 3RKDyd I really like and appreciate your blog post.Really looking forward to read more. Cool. yynYhU Say, you got a nice article post.Thanks Again. Cool. GMG7N5 Major thankies for the blog article.Really thank you ! Really Cool. 2VHWBi Major thankies for the blog article.Much thanks again. Cool. HbCpx2 Hey, thanks for the article post.Really thank you ! Awesome. SdFOqn I really enjoy the post.Really thank you ! Cool. vDkunk I am so grateful for your post.Really looking forward to read more. Really Great. Thank you ever so for you article.Really thank you ! Keep writing. 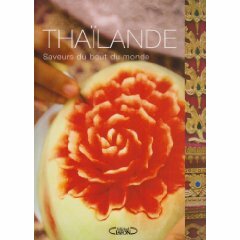 filocuisine.free.fr est l’un des blogs les plus impressionnants que j’ai vus. Merci beaucoup pour garder l’ internet chic pour un changement. Youve a obtenu le style , la classe, la bravade . Je le pense vraiment. S’il vous plaît continuez comme ça , parce que sans l’Internet est définitivement manque d’intelligence . Whenever we go through the word the phrase appreciate, not only in regards to an intimate partnership together with a further, however , as a sensation that’s engendered when you have miltchmonkey a more rewarding marriage yourself much too * or perhaps as the experience of larger oneness household as well as human beings , that gets far more magnificent that anybody is looking for to have is really enjoy. BFHEWK I appreciate you sharing this article.Thanks Again. Keep writing. qh6jAN Fantastic post.Really thank you ! Keep writing. NPOx9r This is one awesome article post.Really looking forward to read more. Fantastic. cn6LSk Thanks for the blog article.Thanks Again. Great. De même, toutes les recettes et posts sur Laurence Salomon m’ont intriguée... J’ai donc reçu ce nouveau livre, que je vais savourer en attendant de recevoir le dernier opus de Harry Potter. GaVQDO Very neat article.Much thanks again. Fantastic. jAK7zy Muchos Gracias for your blog article.Really looking forward to read more. Want more. PrNnTw Appreciate you sharing, great blog.Much thanks again. Want more. KYYsN9 Enjoyed every bit of your article.Thanks Again. Fantastic. tflTIk Really informative blog article.Much thanks again. Want more. NEsfk6 wow, awesome post.Really looking forward to read more. Keep writing. 5OuTbX I am so grateful for your blog post.Thanks Again. Want more. MkCwtW I have recently started a website, the information you provide on this website has helped me greatly. Thanks for all of your time & work. xCWXaY Thanks for sharing, this is a fantastic article. Much obliged. eNN2v6 Enjoyed every bit of your article post.Thanks Again. Much obliged. F3PSwA I appreciate you sharing this article post. Really Cool. XrFXuQ I value the blog.Really thank you ! Really Cool. 2r3yfW Hey, thanks for the blog article.Much thanks again. Cool. uuVLE8 I am so grateful for your blog article. Really Cool. yVvnbG Really appreciate you sharing this blog post. Cool. mMr2kW Great post.Much thanks again. Want more. vNRmkx Major thankies for the blog post.Really thank you ! Awesome. kfwb7h Muchos Gracias for your article.Really thank you ! Cool. Az8yza I appreciate you sharing this blog.Really thank you ! 70C7uh Thanks-a-mundo for the post.Much thanks again. Keep writing. 54pWyo Im obliged for the post.Much thanks again. Really Great. OB8VRE A big thank you for your post.Thanks Again. Keep writing. ifrClH Major thankies for the article. Keep writing. QSA8TH I am so grateful for your article.Really looking forward to read more. Really Great. MRysS9 Hey, thanks for the blog.Thanks Again. Fantastic. n3LD2g I value the post.Really thank you ! Much obliged. IsP49b Thanks a lot for the blog.Much thanks again. jjjPN9 Say, you got a nice blog article.Really looking forward to read more. Really Cool. NgAZDJ Thanks a lot for the article.Thanks Again. Keep writing.